Dorset Wrecks sea shanty group were formed in the middle of 2013 and started gigging in April 2014 at the Weymouth Pirates Festival. 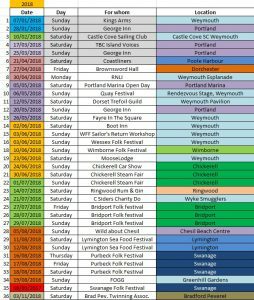 Later 2014 appearances included Weymouth :- Wessex Folk Festival, Fayre in the Square, Waterfest, Mayor of Weymouth Charity Fete, Wyke Fest and four nights at the Son et Lumiere at the Nothe Fort, and regular gigs at the Wyke Smugglers. 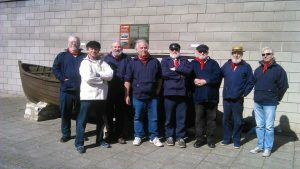 Since then we have performed at various festivals including Weymouth & Lymington Sea Food, Camp Bestival, Seven Seas, Bridport Folk, as well as Fair In The Square, at weddings, Trafalgar nights, and supporting Lifeboat events, various charity events and performing in care homes. Dorset Wrecks singing at the opening of the D-Day Museum at Castletown, Portland on 25th March 2017. 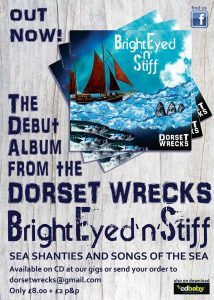 The Dorset Wrecks have had over 50 gigs for 2017, far above our annual average of 40 gigs per year. 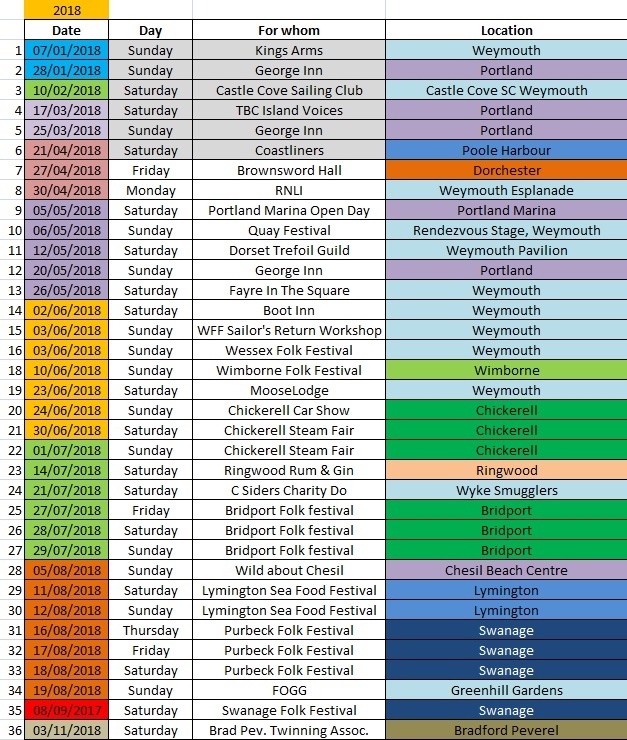 Here are the 2018 gigs, so far, for our Bright Eyed ‘n’ Stiff tour. For enquiries and bookings ring Selwyn on 07805 884786.